Antique French Majolica Plate. Aqua Blue Ceramic Parrot Plate by Salins. An antique French majolica dessert plate dating to the early 1900's. 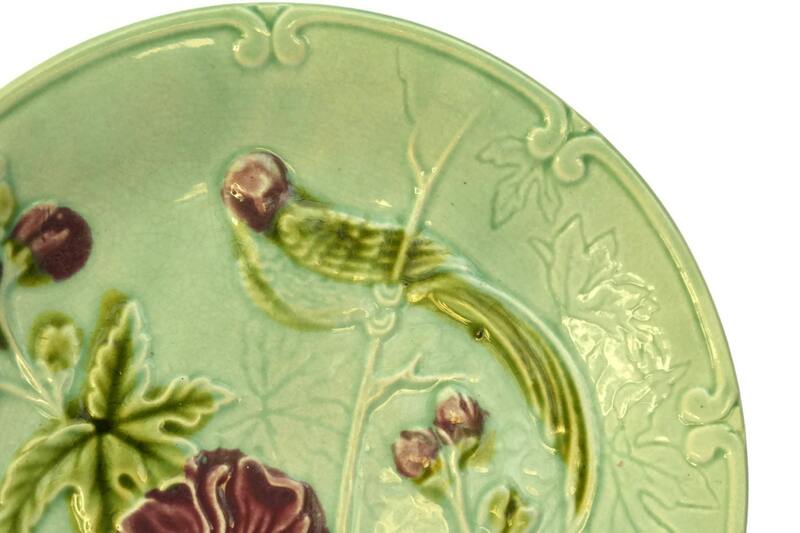 The plate was manufactured by the Salin's pottery and features a charming parrot and flower design relief. 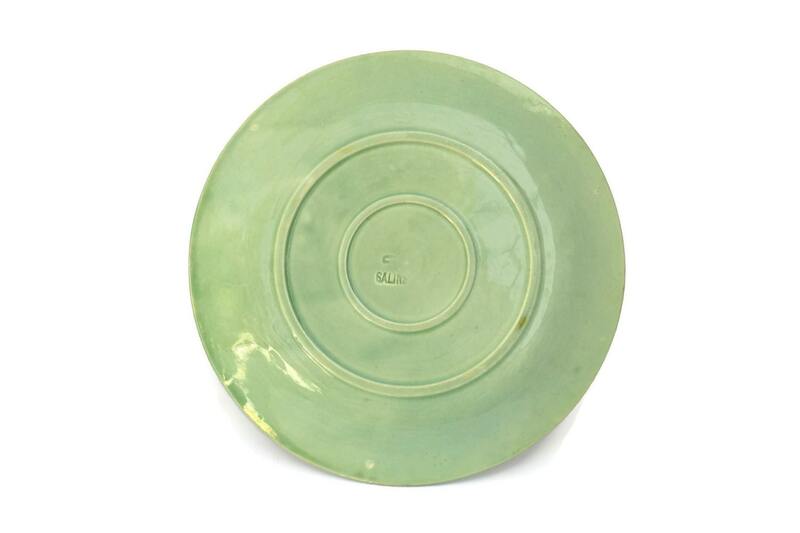 It has been glazed in a pale shade of aqua with vibrant pink and green accents. 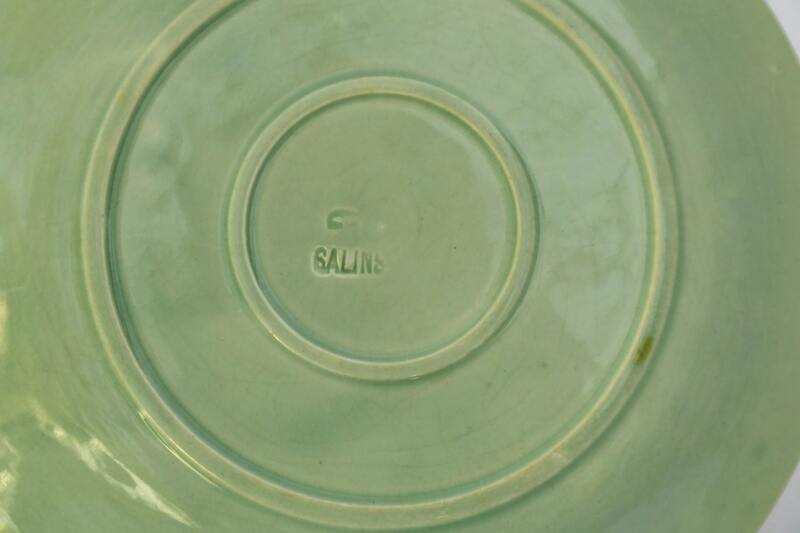 The underside has been stamped with the Salin's manufacturer's stamp. 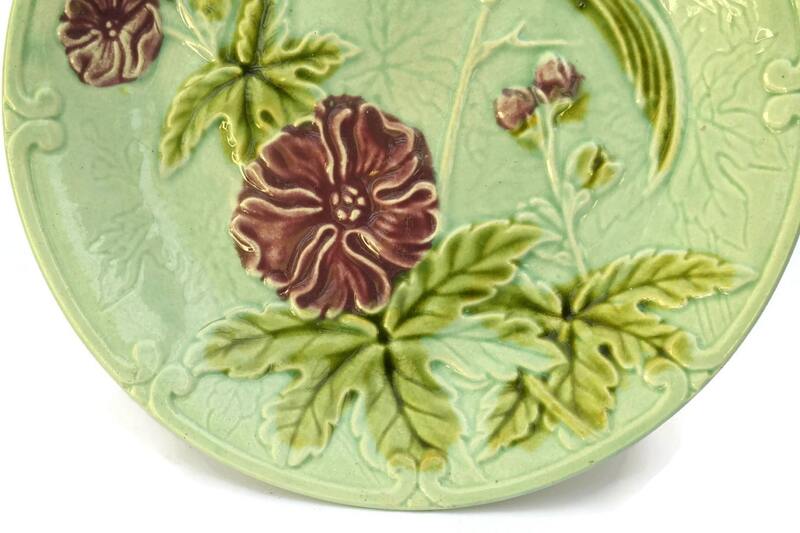 The Majolica plate is 7.5" in diameter (18,5 cm). 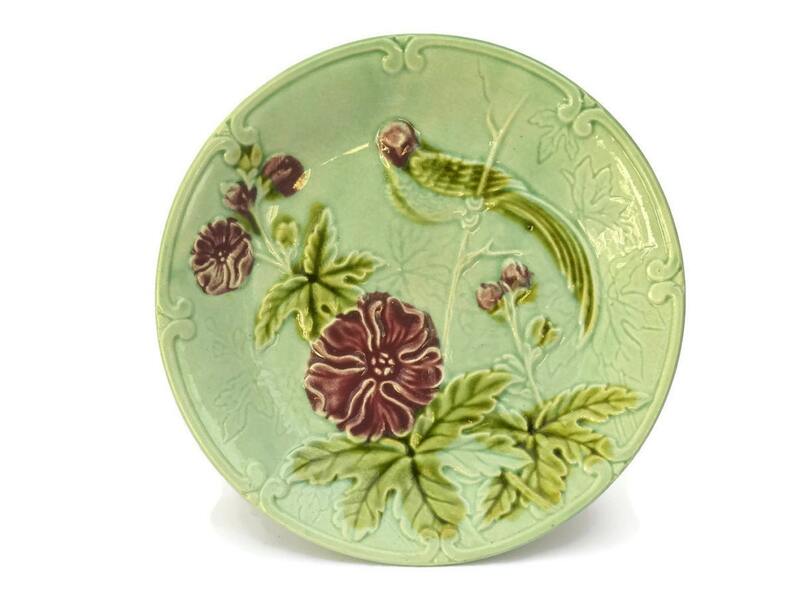 The majolica plate is in very good antique condition with age-appropriate wear including light marks and fine crazing in places.